Congress president Rahul Gandhi had announced Priyanka Gandhi Vadra entry into the party. 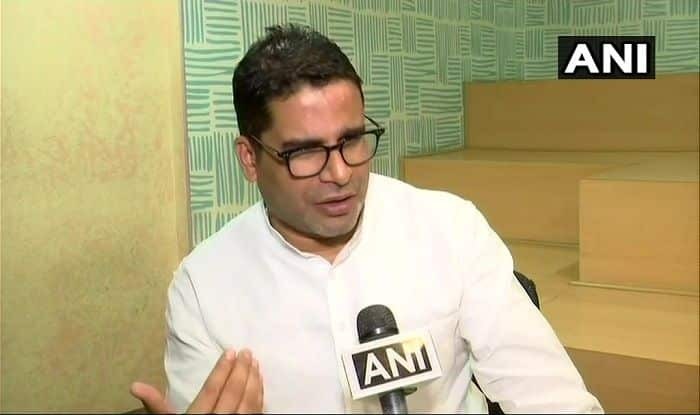 New Delhi: Janata Dal (United) vice-president Prashant Kishor said that Priyanka Gandhi Vadra should be given few years after which the people of the country would be able to decide if she is capable of taking the responsibilities. He was reacting to media reports which claimed that the timing of Priyanka’s entry into politics shows that she can be Congress’ prime ministerial candidate for the upcoming general elections. Congress president Rahul Gandhi on Wednesday had announced Priyanka Gandhi Vadra entry into the party and appointed her general secretary UP East. Priyanka, whose formal entry into politics has been a matter of speculation for several years, was given the charge of eastern Uttar Pradesh, a state which always plays a key role in the formation of the central government as 80 out of 543 Lok Sabha seats are at stake here. The 47-year-old daughter of UPA chairperson Sonia Gandhi and sister of Congress President Rahul Gandhi will take charge of her responsibility as AICC General Secretary from February first week. The announcement came days after Samajwadi Party (SP) and Bahujan Samaj Party (BSP) decided to contest the upcoming general elections together. They have kept the Congress out of the alliance. Priyanka and Scindia will present “the right kind of ideology for the poor, for the oppressed people”, he said, expressing hope that “a new kind of thinking and a positive change” will come in UP.